Today, I am a copycat. And I am not ashamed. I can certainly appreciate mind-bending gastronomy when truly unique and appropriate. However, sometimes there is nothing better than eating food you can easily identify containing just a few fresh ingredients. Recently, I enjoyed a fantastically simple dish of brussel sprouts sauteed with lemon and crispy prosciutto at Haven Gastropub (giving credit where it is due). It was divine. Not two days later, it was on my table again, this time at home in just a matter of minutes. Heat saute pan on medium, and add 2 tbsp olive oil. Add prosciutto but be sure to pull apart the strips. Stir the prosciutto frequently to ensure all strips brown evenly. You are essentially frying it. 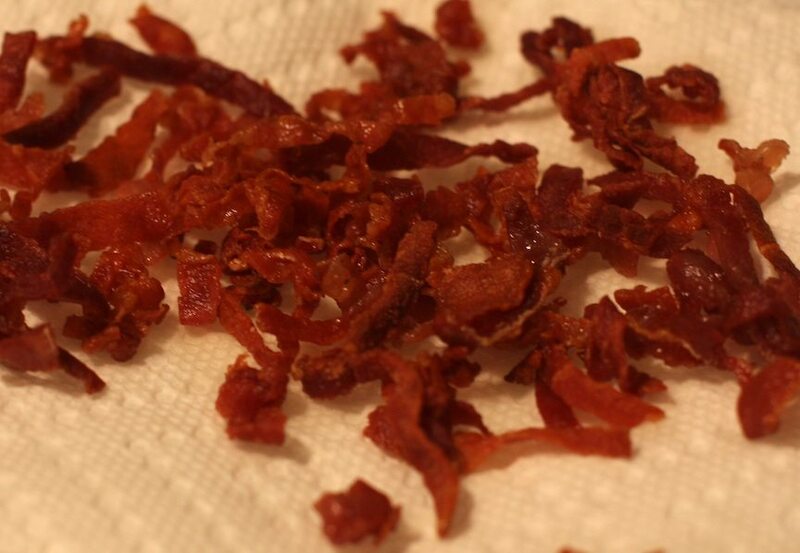 Once all are crispy, remove from pan immediately and drain on a paper towel. Add remaining olive oil to pan. 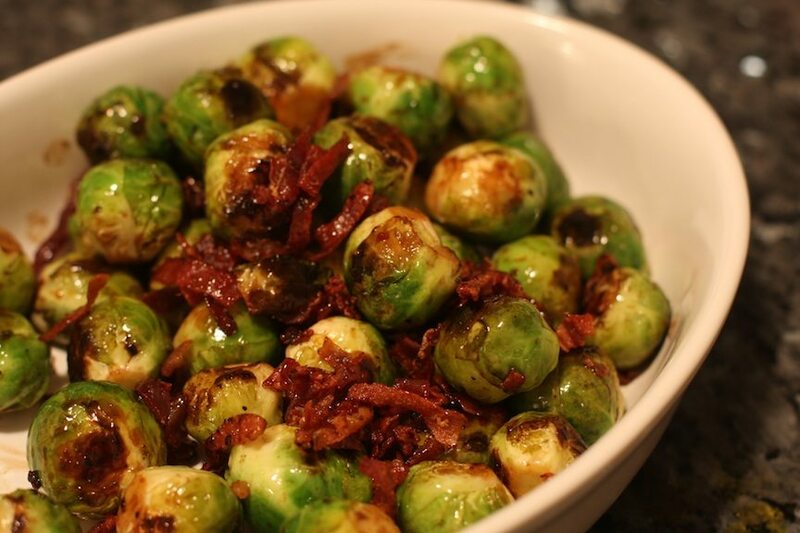 Add brussel sprouts, stirring every few minutes so that they caramelize, about 7-9m. Once caramelized all over, pour in lemon juice. Toss brussel sprouts to coat in the juice. Let cook until lemon juice evaporates. Season with salt and pepper. 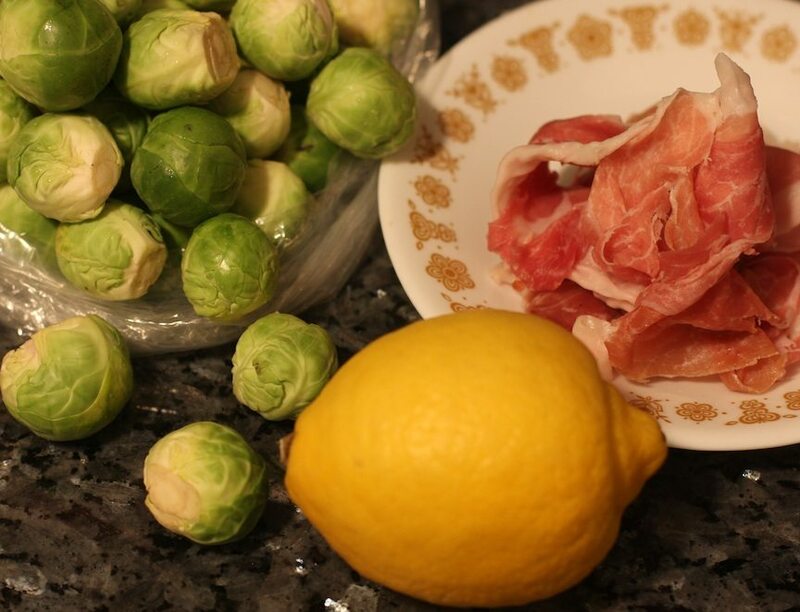 Add prosciutto back in with the sprouts, and toss. EAT. Have you ever been inspired by a restaurant’s dish? Tell me about it!